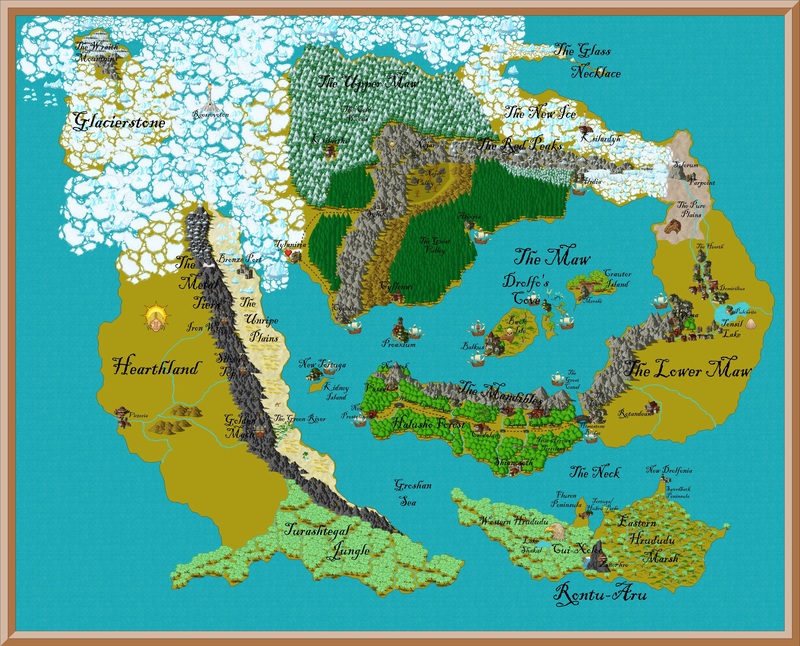 The fantasy world of Gurutama I’m working on. The world was originally created while playing Dawn of Worlds with my friends. We outlined the world’s geography, inhabitants, and basic history by playing the Dawn of Worlds game, but more needs to be done. I’m working on filling in the gaps and editing what’s already been written. I’ve provided a basic outline through blog posts and am now in the process of removing errors and other issues within the timeline used to track Gurutama’s history. Overview Blog Posts: Dawn of Worlds, How I Played Dawn of Worlds, Overview Part 1, Overview Part 2, Overview Part 3, Overview Part 4, Overview Part 5, Overview Part 6, Overview Part 7, Overview Part 8, Overview Part 9, Overview Part 10, Overview Part 11, Overview Part 12.